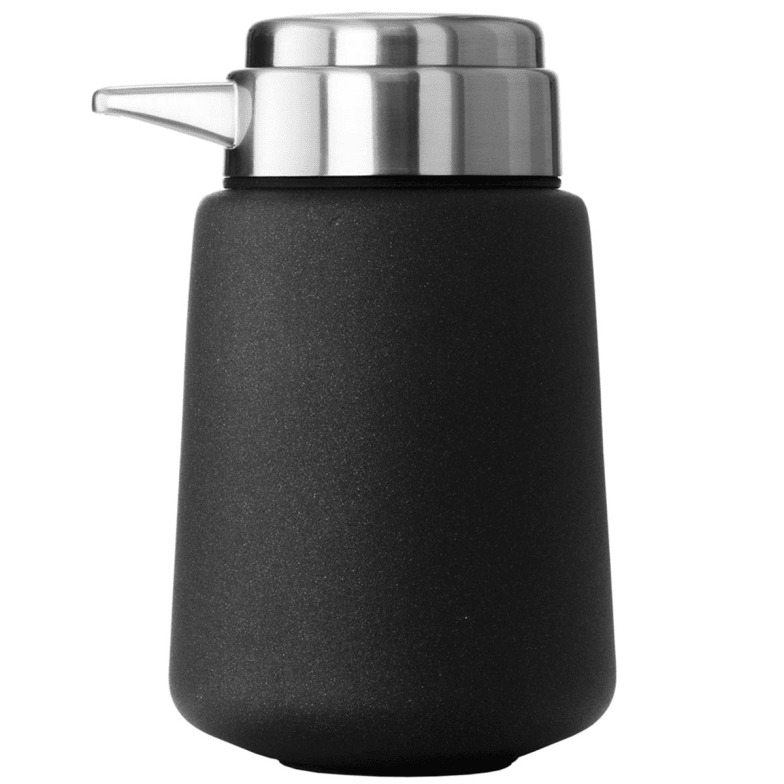 A modern Vipp design classic, the Vipp soap dispenser is made from finest quality steel and rubber. Features specially designed pump for easy use, and rubber base for better grip & protection of counter tops. Care instructions: Stainless steel surfaces should be cleaned and polished with a microfiber cloth, glass cleaner or other non abrasive and gentle cleaning agents. Lacquered surfaces should be cleaned with a moist cloth. Rubber parts should be cleaned with a moist cloth. Apply silicone spray for better finish. Vipp products with dark surfaces should be cleaned with a soft brush and, if stained, with a bit of water. Then wipe with dry cloth. If the soap does not flow through the pump at first, pump hot water through the pump head a few times. Before replacing the soap, we recommend cleaning the dispenser with hot water. The pump head can be cleaned by rinsing it with hot water. Do not wash the dispenser in the dishwasher. Do you have a question about "Vipp 9"? How can we contact you?